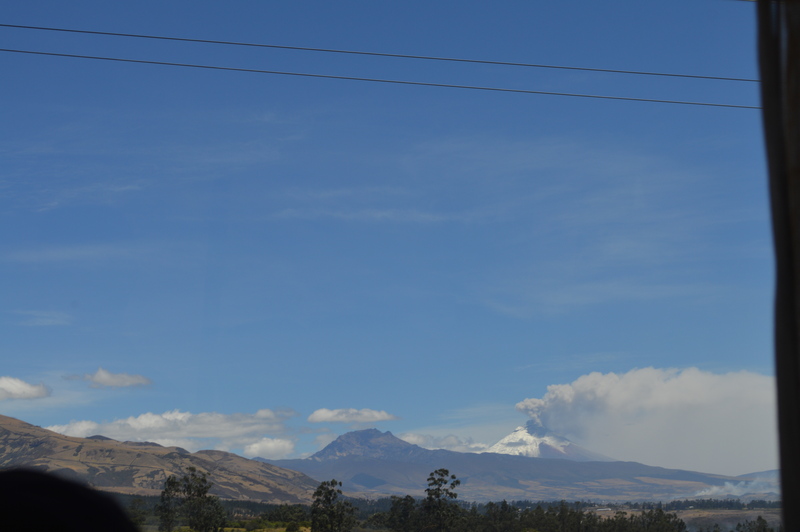 While Erin and I were in Ecuador, the volcano Cotopaxi, Ecuador’s second highest mountain erupted. Erin and I didn’t even hear about it until well after the first eruptions but later in our trip, we saw the cone venting smoke from a distance. The Andes, backbone of South America are mainly volcanic, created by the subduction of the Nazca plate under the South American continental plate. Basically, a piece of the earth’s crust is sliding under South America and doing it none too smoothly. This causes South America to “wrinkle” creating mountains. As the Nazca plate melts under South America, it creates hot magma that bubbles up through South America, creating volcanoes. The volcanoes are spectacular too; even from a distance. Towards the end of our stay in Ecuador we visited the small village of Papallacta, which is endowed with natural hot springs (created by the same geology that created the volcanoes). 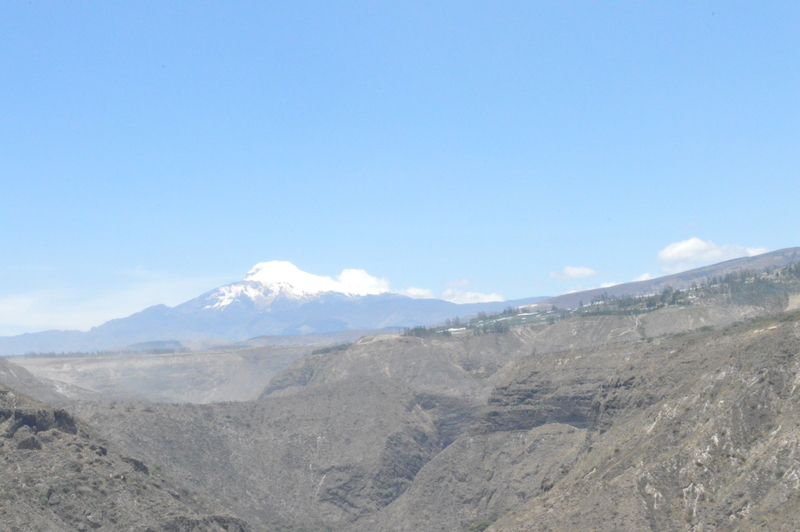 From Papallacta (at 10,824 ft elevation), we had a clear view of the top of Antisana, an 18,714 ft volcano. 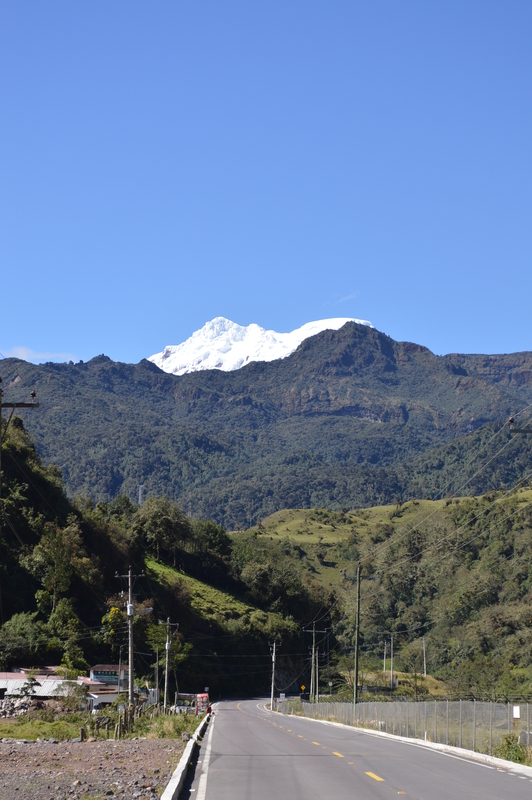 It’s incredible to be right at the equator looking at mountains covered in glaciers. One of the most amazing parts of Ecuador is that in a day or two of travel you can go from lowland Amazon to a high mountain village where a jacket is necessary. A day of travel from there can take you to warm tropical beaches, and the Galapagos are still beckoning from the sea. According to Wikipedia, Ecuador has 28 volcanoes not counting those in the Galápagos; most of those volcanoes are over 14,000 feet in elevation, many much more than that. It’s a mountaineer’s paradise. The Galápagos are also volcanic, along the lines of the Hawaiian islands in their formation. It’s interesting to think how much geology effects life on this planet and South America is the perfect example. Without the formation of the Galápagos, there wouldn’t be the perfect natural laboratory for natural selection to play around with that Darwin encountered. Likewise without the formation of the Andes there wouldn’t be the rain shadow on much of the western coast of South America, creating the Atacama desert. In a similar vein, without the Andes there wouldn’t be such a spectacular amount of rain being poured into the Amazon basin. Without the rain, there would be no rainforest and we’d be missing perhaps the most spectacular profusion of biodiversity on the planet. It’s amazing to think of the interconnectedness of things. Geology taking place over millions of years can change worldwide weather patterns, which can shape millions of years of evolution of organisms and ecosystems. 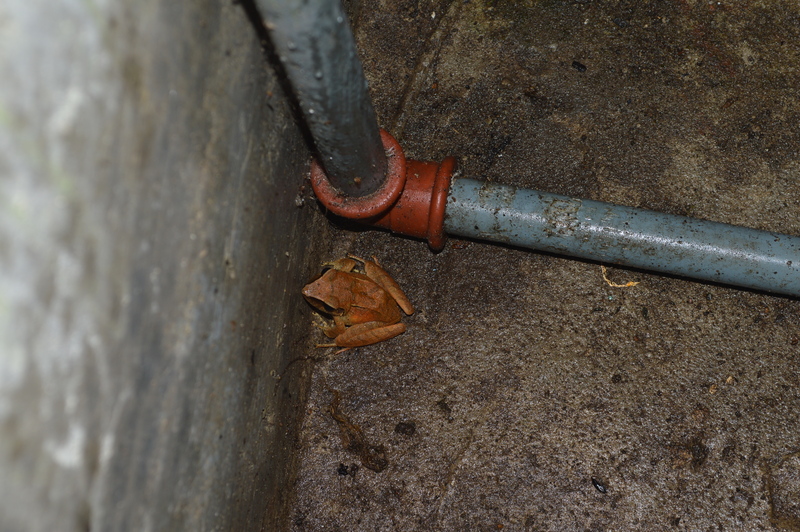 So when you see a frog in the rainforest, think of mountains building and eroding with the slow crunch of continents and the patient hand of weather. Next Photo Friday! Vulcan Antisana from Papallacta.